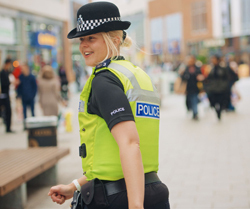 West Midlands Police are committed to providing the best possible service to our communities, ensuring everyone has fair access to all our services and treating everyone with respect at all times. We aim to integrate equality and human rights into everything we do to deliver a service which meets the needs of our communities and supports our workforce. Our communities are vastly diverse and therefore promoting equality and human rights and respecting everyone’s diversity is the very cornerstone in creating greater community confidence in the police. Therefore gaining an understanding of everyone’s different needs plays a significant part of our Equality, Diversity and Human Rights Strategy which seeks to deliver services accessible to all, that meets the very needs of its communities which is reflected in its workforce and their development, and is developed and evidenced within its very organisational policies and processes. Eliminate discrimination, harassment and victimisation and any other conduct prohibited by the Act. Foster good relations between people who have a protected characteristic and those who do not. Equality Objectives in meeting these Duties. 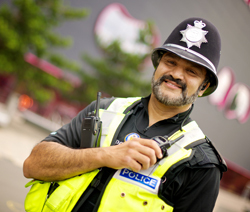 The Equality, Diversity and Human Rights Strategy (see related documents) of West Midlands Police, brings together the various aspects of equality, diversity and human rights that fall within policing boundaries, and strives to achieve a police service that has the trust and confidence of all communities and reflects the communities it serves. When reviewing or developing new policies, projects and working practices, Equality & Human Rights Assessments are carried out to ensure that people’s basic rights and the needs of diverse communities and individuals, especially those who may be the most disadvantaged or excluded in society, are consciously and properly considered. Advice and support on operational and strategic matters. Make recommendations to promote trust, confidence, respect, and partnership between the police and its communities. Work as a ‘critical friend’ to improve the quality and effectiveness of the work of WMP on community safety and cohesion. Advise and support on the impact on its communities as a result of major/critical incidents. West Midlands Police routinely publish their Diversity and Inclusion strategies. Follow this link to find previous documents along with the most current.